A healthy power boost of 88 horsepower (65 kilowatts) highlights the new tuning program from Brabus for the Mercedes-AMG E63. Following extensive test drives on racetracks and public roads, the company has developed a plug-and-play auxiliary control unit, which upgrades the electronic engine control unit with new mapping for injection and ignition, and increases the boost pressure. 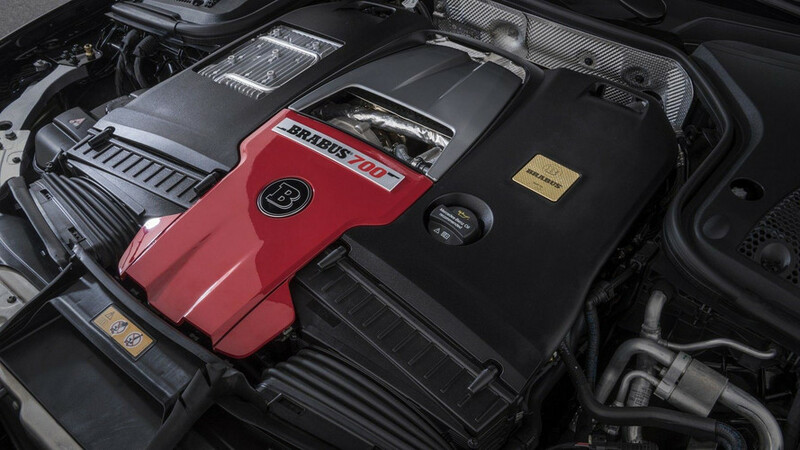 Thanks to the work of Brabus’ engineering experts on the 4.0-liter biturbo V8, the total power output of the unit now stands at 700 hp (515 kW), while the torque has been increased from 627 pound feet to 701 lb-ft (850 Newton-meters to 900 Nm). 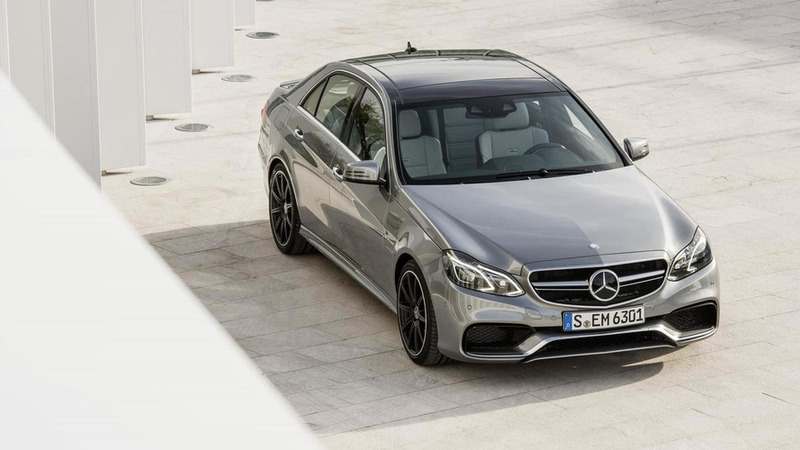 Channeled to all four wheels through a nine-speed automatic gearbox and 4Matic system, the power provides an impressive acceleration from a standstill to 62 miles per hour (100 kilometers per hour) in only 3.2 seconds for the sedan version and 3.3 for the slightly heavier station wagon. All E63 variants get fully stainless exhaust system with electronically controlled flaps for sound management. It allows the driver to select a “Coming Home” mode which activates a friendlier and more civilized exhaust note for use in urban areas. Brabus has also developed a full aerodynamic body kit from extremely light yet high strength carbon fiber, and a choice of high-gloss or matte protective coating. 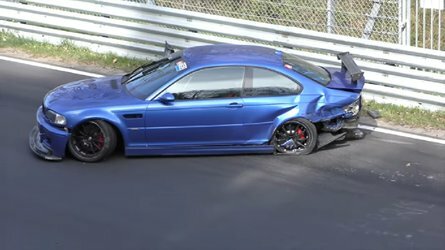 It has been optimized into a wind tunnel and consists of front spoiler lip, front bumper with larger air intakes, and rear spoiler and diffuser. Tailor-made wheels with a diameter of up to 21 inches and a number of different desings complete the package. 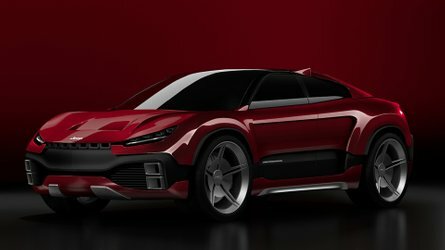 The tuning company promises a “virtually endless” range of colors for the interior, generating unlimited customization options. 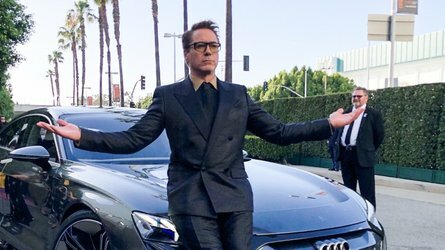 In Frankfurt, Brabus will display an example with a two-tone, black-red all-leather interior, also seen in the attached photos. The Brabus 700 can be ordered as a complete car, but alternatively the experts can convert any current E63 to a certain level of tuning. An output of 515 kW / 700 HP (691 bhp), a peak torque of 950 Nm (701 lb-ft), naked carbon aerodynamic-enhancement components, 21-inch hi-tech forged wheels and an exclusive interior: In a world premiere at the IAA 2017, BRABUS (Brabus-Allee, D-46240 Bottrop, phone +49 / (0) 2041 / 777-0, fax +49 / (0) 2041 / 777 111, Internet www.brabus.com) presents an exclusive performance upgrade for all new Mercedes E 63 models. Sedan or Wagon: BRABUS PowerXtra B40 – 700 engine tuning makes the new Mercedes E 63 S 4MATIC+ even more of a wolf in sheep’s clothing. The BRABUS power unit engineers used state-of-the-art test bench technology and extensive test drives on racetracks and public roads to develop a performance kit that boosts the power output of the turbocharged 4.0-liter (243 cu in) V8 engine by 64.7 kW / 88 HP (87 bhp). 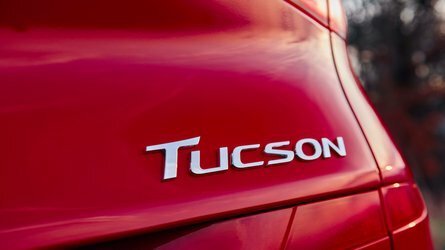 The plug-and-play auxiliary control unit upgrades the electronic engine control unit with new mapping for injection and ignition, and increases the boost pressure. As a result, the rated output jumps from standard 450 kW / 612 HP to 515 kW / 700 HP (603 to 691 bhp) at a low 6,100 rpm. Peak torque grows simultaneously from 850 to 950 Nm (627 to 701 lb-ft), on tap already at 3,500 rpm. 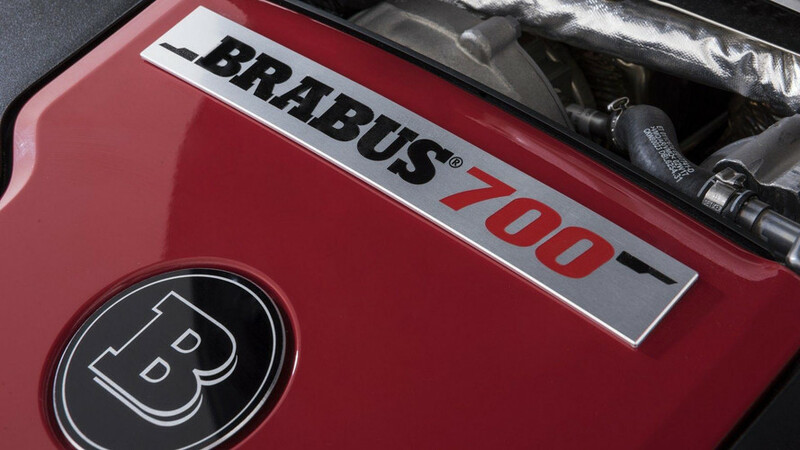 BRABUS recommends high-performance motor oil from technology partner MOTUL. 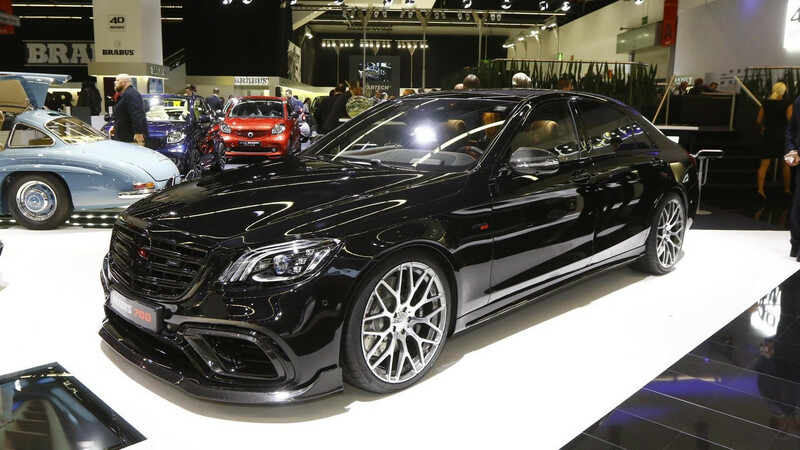 In harmonious concert with the nine-speed sports transmission, an E 63 S 4MATIC+ sedan with BRABUS PowerXtra B40 – 700 performance upgrade accelerates from rest to 100 km/h (62 mph) in just 3.2 seconds. The slightly heavier wagon takes just a tenth of a second longer for the same exercise. The top speed of both body styles is 300 km/h (186 mph). Already under development is a BRABUS Vmax Unit, which will further increase the top speed. Sound and performance are the strong suits of the BRABUS sport exhaust system for all E 63 variants. The fully stainless exhaust lowers the back pressure and features exhaust flaps for an electronically controlled sound management. From the cockpit, the driver is able to choose between the discreet ‘Coming Home’ mode and the open position of the exhaust flaps, which coax a particularly powerful exhaust note from the twin-turbo V8. The aerodynamic properties are essential for perfect handling stability at the tremendously high speeds a vehicle as powerful as this is able to attain. The BRABUS designers went into the wind tunnel to develop bodywork components made from extremely light yet high strength carbon fiber. The precise-fit components come with a choice of high-gloss or matte protective coating. The BRABUS front spoiler lip attaches to the underside of the E 63 production bumper. Thanks to its shape, it reduces aerodynamic front axle lift on the four-door and five-door model. The even more distinctive face also comes courtesy of the BRABUS surrounds for the large air intakes on the left and right in the front bumper. The same superlight composite material is used to manufacture the BRABUS rear spoiler and the diffuser insert for the rear bumper, which provides the perfect backdrop for the two dual design tailpipes of the BRABUS sport exhaust. Of course, the tailor-made BRABUS wheels with diameters of up to 21 inches, safety-certified for all E 63 models, play a major part in the thrilling looks of the BRABUS 700. The most exclusive variant features BRABUS Monoblock “PLATINUM EDITION” forged wheels in various designs. By being manufactured using a hi-tech forging process, these wheels offer a perfect combination of lightweight design and maximum strength. 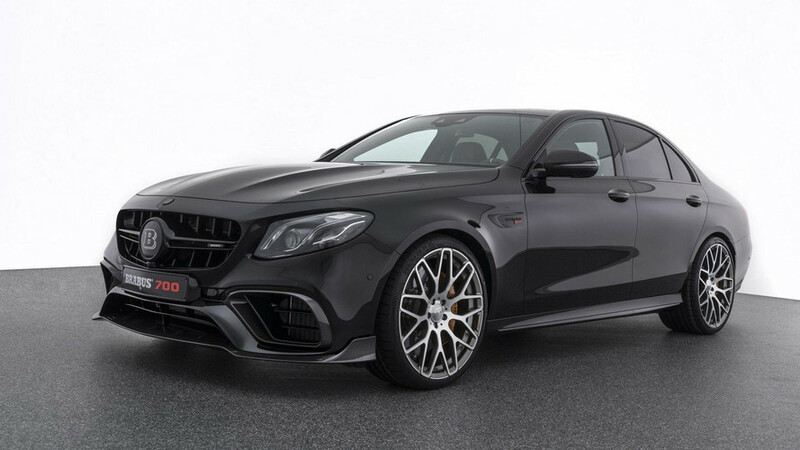 They come in three designs, BRABUS Monoblock F, R or Y “Platinum Edition,” and are mounted on the E-Class in the combination 9Jx21 on the front axle and 10.5Jx21 in back. BRABUS technology partners Continental, Pirelli and YOKOHAMA supply the matching high-performance tires of sizes 265/30 ZR 21 at the front and 305/25 ZR 21 on the rear axle. The ultra-low-profile tires lend the sedan and wagon an extravagant appearance and give it even more agile handling. The perfect complement is a BRABUS suspension module that lowers the E 63 by about 20 millimeters (0.8 in). BRABUS also offers its customers unlimited customization when it comes to the interior design. The company upholstery shop creates exclusive BRABUS fine leather interior appointments from the finest leather and Alcantara. The range of colors is virtually endless and the designers in Bottrop are also able to fulfill any special requests regarding the upholstery design. The BRABUS 700 presented at the IAA is fitted with a two-tone all-leather interior in black and red showing great love of detail: The quilting with pinpoint accuracy on the black seat surfaces immediately catches the eye, while a special detail only becomes apparent upon closer inspection: through the perforation of the seat surfaces the eyes discover a layer of red leather incorporated under the black leather. Matching the sporty character of the E 63, BRABUS offers aluminum paddle shifters with an especially ergonomic design as well as aluminum pedals and door-lock pins. In addition, the cockpit was fitted with flawlessly finished BRABUS carbon inlays with high-gloss protective coating. Stainless scuff plates with backlit BRABUS logo, which changes color in sync with the ambience lighting of the interior, round off the new interior design. The BRABUS 700 can be ordered as a complete car. Alternatively, BRABUS will convert any current Mercedes E 63 to this level in stages or all at once. BRABUS 700 based on the Mercedes E 63: city 11.7 l/100 km, highway 7.6 l/100 km, combined: 9.1 l/100 km. 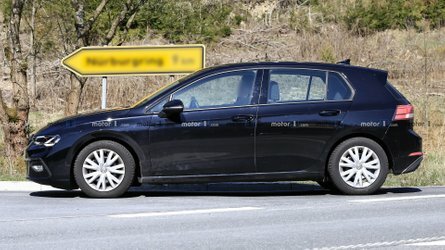 Combined CO2 emissions: 207 g/km, efficiency class D.